Sounds like a great program, right? Who would not want equal educational opportunities to all families? School choice was not without its detractors and even its abusers. However, the greatest threat to our church was the attitude of the families whose kids attended the school before. These were not bad people nor unchristian people. The concern became one of safety. All of a sudden, we were adding a foreign element into our once small, contained, safe school environment. Our Lutheran trained teachers were not used to the kind of developmental issues we were suddenly facing, nor the discipline issues. One by one we lost more and more tuition-paying customers replacing them with school voucher students. We got all kinds of reasons for why they were pulling their kids out but, in the end, the culture and environment changed. It was no longer as safe. The importance of a safe environment. I covered this issue in a previous post but want to revisit the safety issue. It is the number one issue for parents. For those current parents and for future prospective ones as well. With our new students, we struggled to regain our footing when it came to safety for our current parents. For the prospective parents, our school was a huge upgrade over their previous public school situation. But that issue of safety was one we continued to work on improving. The Mission is coming to our Front door. In August of 2017 Illinois made history with the passage of a Tax Credit Scholarship (TCS) program. This law which passed with both houses of the legislature under Democratic control has enacted an educational choice program. The law has the highest scholarship funding cap ($100 million) of any first-time TCS program. Empower Illinois is based on a simple notion: every child has just one chance to get a great K-12 education; there are no do-overs. We seek to empower community members to assist parents to choose the best school for their child. 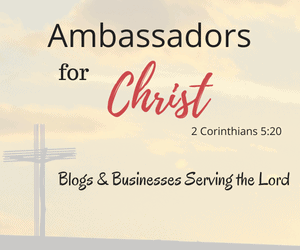 The question is how do we make use of the opportunity God has placed at the front doors of our churches engaged in Christian day school ministry? One thing we need to do is overcome our fears. Our fears can lead us to miss the opportunity to see these families as a threat to our need for safety vs seeing them as families who share a common goal, they too want to give their children every opportunity to grow and develop in a safe and loving environment. Our schools offer that kind of safe, loving, and nurturing environment that after all is why we chose them. Imagine seeing this as a mission opportunity to reach people and families that normally could never afford to take advantage of what you have worked so hard to build. You have the opportunity to be salt and light those in need of grace and love. “Truly I tell you, whatever you did for one of the least of these brothers and sisters of mine, you did for me” (Matthew 25:40, 45, NIV). A bit of context here. What does the phrase “least of these” mean? It is often mistranslated. It does not mean that these poor souls are of less value than others. Jesus is not promoting some hierarchy of worth as far as human values are concerned. He does not lift the wealthy and self-sufficient to the top, while the poor or the materially and financially dependent are at the bottom of the totem pole. Questions to get the ball rolling. How you will make use of the opportunities God is placing at the doorsteps of your school? List barriers to school and church participation faced by those in the community here. List key opportunities to meet the needs of those in the community here. Give the characteristics for the last 20 who visited and enrolled at the school. Why did they choose your school? Here is the previous post referenced above. O great insight Pastor I never thought of the changes from the perspective of new vs current children in a charter/religious school. Thanks for sharing. My least of these thought is also that Jesus means for us to treat with respect and love those who we think are the “least” in our own world. That hits a little closer to home for me. Have a blessed week! Thanks for making this happen for our children. Ah yes: “however humble”. Great insight. This reminded me of one of my favorite movies, Freedom Writers. Integration sounds great until reality sets in. Bringing people together from different backgrounds can be very difficult. I can see both sides of the equation. Some people have a lot of good fortune in life and they don’t want to lose what they have. Others are struggling just to eat and pay rent, which can make people tired, envious and angry. Bridging the gap isn’t easy. That is so true, but look at the opportunity.